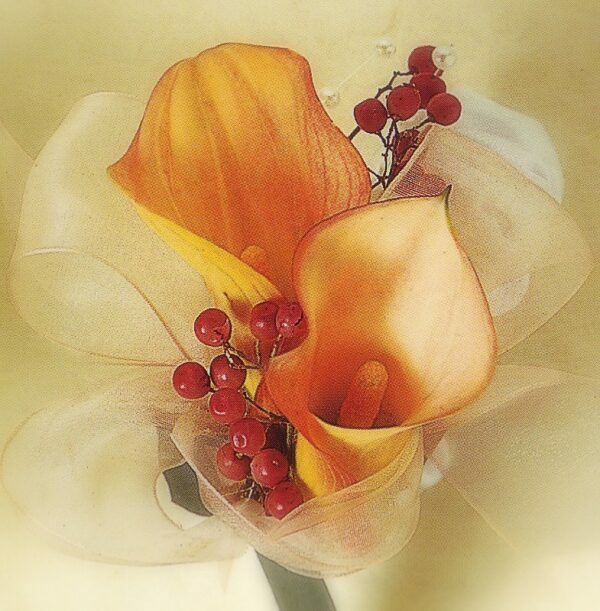 The stately, miniature calla lily-a classy flower for a classy lady. Shown in ‘mango’ color, but available in white, pastels, and….eggplant for the diva. 55. SKU: c3e878e27f52 Category: Corsages and..